Mother’s Day is next weekend and I found myself inspired to make long stemmed roses this weekend. I start with a 22 inch long round mild steel rod for the stem, I taper the top of the stem (hammer to a point) so I can set the five petals on top. Each of the petals are textured by a straight pean hammer to replicate the soft veins of a real rose petal. Once the petals are set on the stem with a peaned rivet head, I use an oxy/acetylene torch to heat up each petal to an orange color heat and use scrolling tongs to bend and curl it, giving it “life”. Then I make two more smaller roses to weld onto the main long stem. 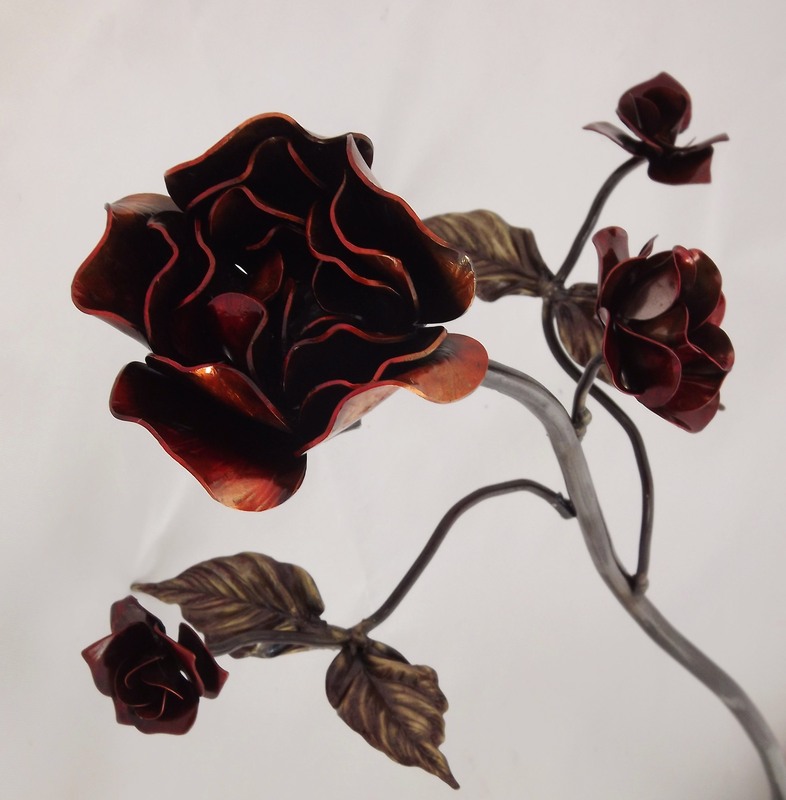 I use a transparent red spray paint to color the rose petals and I like to leave the stem and leaves in a natural steel color with just a clear coat to keep it from rusting. The whole process takes about 2 hours for one rose.